Dale Sailing is proud to support the work of the West Wales Activities Group (W.W.A.G.) – a voluntary group of highly motivated and enthusiastic local people who wish to promote the well-being of children, young people and adults in the West Wales Community.Their aim is to help individuals of all ages and abilities to achieve many of the goals set out in the Well-being of Future Generations Act (Welsh Government 2015) – a more prosperous, more resilient, healthier, more equal and more cohesive, vibrant community in the area. By working in partnership with other community groups, schools and businesses such as ours, and utilising their own and community fund-raising, they provide access to quality learning experiences through participation in healthy, outdoor activities to enhance the lives of the people of our community. Here at Dale Sailing, we strongly believe in “opportunity for all” and are pleased to be able to assist W.W.A.G. in providing access to healthy outdoor activities via our Watersports Centre based in Dale. 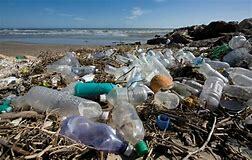 Our environmental project for 2018 is aimed at reducing the amount of plastic that we find in our local waters. By collecting used plastic bottles from the hundreds of visitors we guide to and around the local islands during the summer, as well as those within the vicinity of our Watersports Centre in Dale, and recycling them ourselves, we aim to ensure that at least these items of plastic do not slip through the net and into our seas.